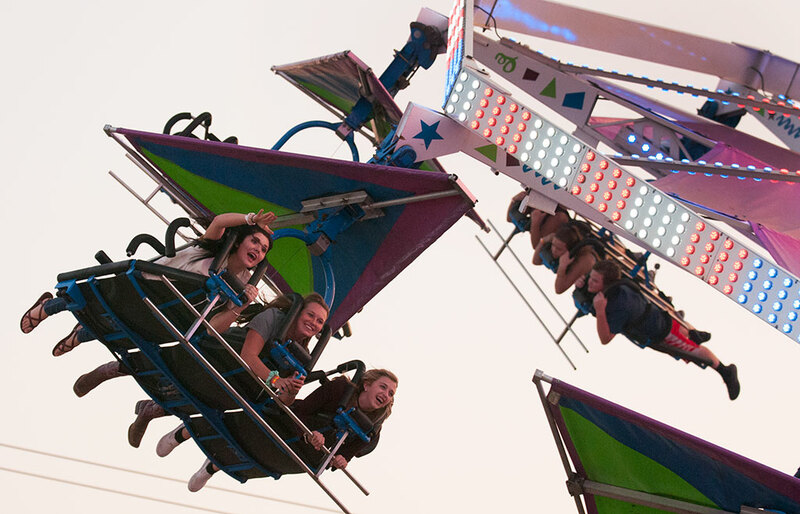 Few things cheer you up better than being with or watching happy people, as in this image I made of a ride at the Pontotoc County Free Fair last night. Faithful readers of the Giant Muh know how down I’ve been this week about some of my fellow photographers being laid off from their jobs at The Oklahoman. I was taking stock of this last night as I drove to my final assignment of the day (which I actually assigned myself), the Pontotoc County Free Fair. As I worked and thought about my photographer friends, I thought about how grateful I am to have this job, and how much fun I was having doing it. People around me were happy to see me, and I was getting great images. Also, I won the lottery. A $25,000 scratch and sniff lottery ticket was sold in Ada, but my winnings were more modest. Now the real work begins: how to invest my $14. 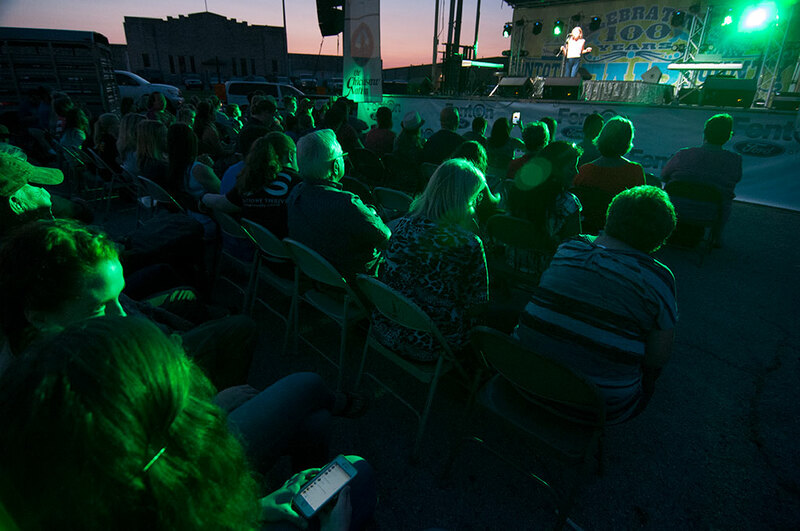 Deep green stage lights shine on the audience at the talent competition at this year’s Pontotoc County Free Fair. I love this image, and love making pictures for a living. Richard, we might not see eye to eye on something’s, but you are a wonderful photographer, you have so much talent. I always look forward to see what you are going to capture next. Indeed, $14 is a fairly large payout. Put that in a savings account, and it’ll be worth $14.01 by this time next year. That’s basically a free penny! These images are certainly print-worthy. To double your money, fold it in half and put it back in your wallet.